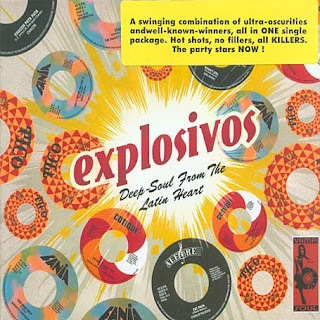 A Latin Soul jukebox -- overflowing with great singles from the glory days of the Spanish Harlem scene! The vibe here is definitely on the dirtier end of late 60s Latin -- that groove that picked up plenty of funk and soul from other strands of the New York scene, and took it way way uptown where it was cooked up with a nice dash of salsa! And while there was certainly some work of the time that tried to cash in on the boogaloo groove and never really made the cut, the tunes on this set are all the real deal -- the hard-hitting numbers that stood out as some of the best cuts coming out from labels like Tico, Fania, Cotique, and Alegre. CD features a total of 20 great tracks, all of them cookers -- with titles that include "Soul Gritty" by Ralph Robles, "You Need Help" by Monguito Santamaria, "Deep" by Quetcy Alma, "Chicarrones" by The Latin Gents, "Fat Papa" by Charlie Palmieri, "Mama's Girl" by King Nando, "Chacon Pata Pata" by Chacon, "Get It Right" by Alfredito, "Apewalk" by Al Escobar, "Stand" by Harvey Averne, "King Of Latin Soul" by Joey Pastrana, "Kool It Here Comes The Fuzz" by Jimmy Sabater, and "African Twist" by Eddie Palmieri. © 1996-2010, Dusty Groove America, Inc. Thanks. Love this kind of stuff.